Jo Dery is appearing as the first guest artist at Ladies Night at Graham Cracker's Comics tonight, March 7th, from 6-8pm. Come see Jo and talk comics! 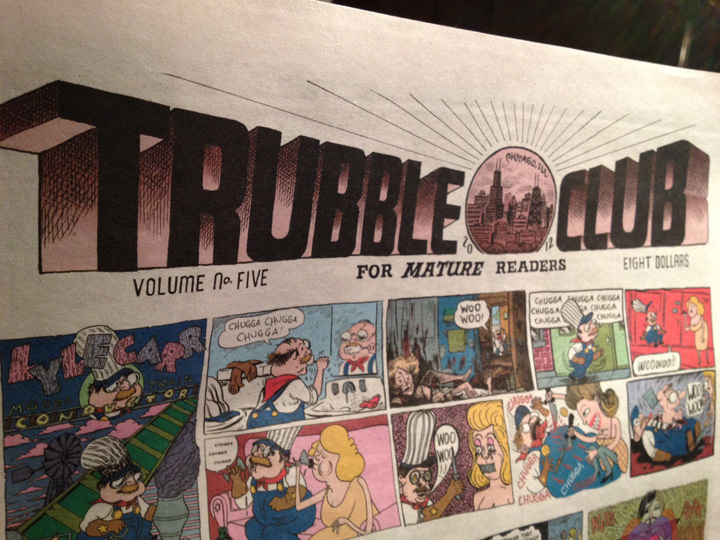 Jo is also part of the newest issue of Chicago's Trubble Club, along with Little Otsu favorites Lilli Carre and Jeremy Tinder (among many more). They're having a release party the same night, so swing on by afterwards. Jo made a new screen-printed comic and there should be stickers and other goodies as well. The issue looks really great--it should be a lot of fun!